“Noah walked with God.” This phrase is used only for one other person in Scripture–Noah’s great-grandfather Enoch, the one who lived 365 years “and he was not, for God took him.” (Gen. 5:24) Scripture emphasizes Enoch’s righteousness by TWICE stating “Enoch walked with God.” [Gen. 5:22,24). The name Enoch means “dedicated, initiated, trained.” In Hebrew, to “walk” [halak הלך Strong’s H1980] means much more than to put one foot in front of the other and shuffle along. Rather, it is a euphemism for a manner of thought and, therefore, a manner of life. It is a life view or paradigm and, also, hints at one’s ability to influence. Enoch was the seventh generation of Adam. The number seven in Hebrew thought denotes perfection and completion, as in the seven days of Creation. According to Jewish literature, Enoch set himself apart from the culture, in seclusion, for long years for the purpose of studying the Word of God. The commendation of Enoch in the Faith Hall of Fame contained in the 11th Chapter of Hebrews becomes all the more important when we consider Enoch’s attitude of submission. According to the Jasher account, after long years of study, in Abba’s instruction and in His timing Enoch went out into the world to share the truth/gospel with others and was rewarded with a great harvest. Thus, to the devout Jew, Enoch was the light of the world in his day, preached the gospel, and is a type of Messiah. The Book of Jude quotes the Book of Enoch (though, to be fair, some argue that the Jasher we have today is not necessarily the Jasher of that day). Jude exhorts us to “earnestly contend for the faith which was ONCE delivered unto the saints” (1:3 emphasis added). This, to me, is one more witness that the Torah, God’s covenant, was given from the beginning and was renewed at Mt. Sinai to the generation who came out of Egypt. Noah, Enoch’s great-grandson, apparently, immensely valued Enoch’s instruction, for Scripture declares Noah to be just, righteous, lawful, without spot, blameless, whole and complete, in stark contrast to the rampant lawlessness of his day. In the New Testament, Luke points to the parents of John the Baptist as shining examples of people in the First Century who immensely valued God’s instructions and understood how to walk with Him (Luke 1:6). If we could read the New Testament in Hebrew, we could understand that they were tzadeek [just, righteous] and tawmeem [perfect] just like Noah. Does it mean they were sinless? Certainly not! It means they were righteous because they, like Abraham before them, “believed God and it was counted to them as righteousness.” But there is more. Like Abraham, and Noah, they pursued righteousness by “walking with God,” a euphemism for keeping His commandments. The commandments are not now, nor have ever been, for salvation. They are simply instructions in what is correct, just, and righteous in the eyes of God. The Hebrew word for sin [חטא chatah Strong’s H2398] is defined as “missing the mark.” The Torah, the Light of God, illuminates the concept of being tawmeem [blameless] for us so that we can hit the mark. Paul’s letters are infused with injunctions for former gentiles who are grafted in to Israel to strive to be tawmeem.. Writing to the churches of Corinth, Philipi, and Thessolonica, comprised of converts from the nations [goyim], Paul exhorts the new believers to be blameless by walking in the Torah [which God declared to Moses is both “for the homeborn and the stranger.” (Num. 15:15,16)]. Do all things without complaining and disputing, that you may become blameless and harmless, children of God without fault in the midst of a crooked and perverse generation, among whom you shine as lights in the world, holding fast the word of life [Torah]…(Phil 2:14-16 KJV). Abba Yahweh, we delight to be Your set-apart people and designated living sacrifices. Help us to understand truly what it means to walk with You. 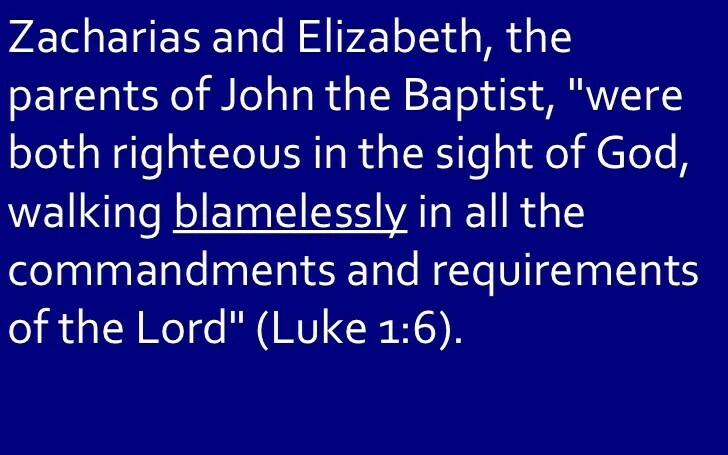 Help us to understand what it means to be tawmeem, blameless, without spot or blemish, that we may be a sweet savor to Your nostrils and prepared to influence others also to walk in Your holy ways. We recognize that the state of America today reflects the condition of Your Body. We ask YOU to open our eyes and ears, that we may see and hear [shema] for Your glory, in Yeshua’s name. Amein and amein!